With the retractable hard top raised, the Miata RF becomes a warm, dry coupe that is simply perfect for a wintertime sports car in Oregon. 2019 marks 30 years since the first Mazda Miatas arrived in America. In the summer of 1989 the first batch of cars were almost all reserved sight-unseen. The Miata was a huge success, and Mazda has kept the lightweight sports car formula more or less unchanged for three decades and more than a million Miatas sold. This year's Miata received an important update in the form of 26 additional horsepower, going from 155 to 181 horsepower. That may not seem like much in an era when 300 and 400 hp cars are common, but remember that the Miata is lightweight and Mazda's engineers have dialed in the gearing to wring performance out of every single horsepower. The result is that the Miata's demeanor changes more than expected with the extra power. Where it was a classic momentum sports car in the style of an MG or Fiat, the Miata now feels like an edgy hot rod. The engine seems to rev up impossibly high, and the Miata just shoots ahead. It also helps that Mazda has been refining the Miata's suspension and braking systems, and there's no car more confident and sure-footed on a windy mountain road. In my week with the Miata I drove out to the coast and back again twice. If I could have made up another excuse, I'd have gone three times. 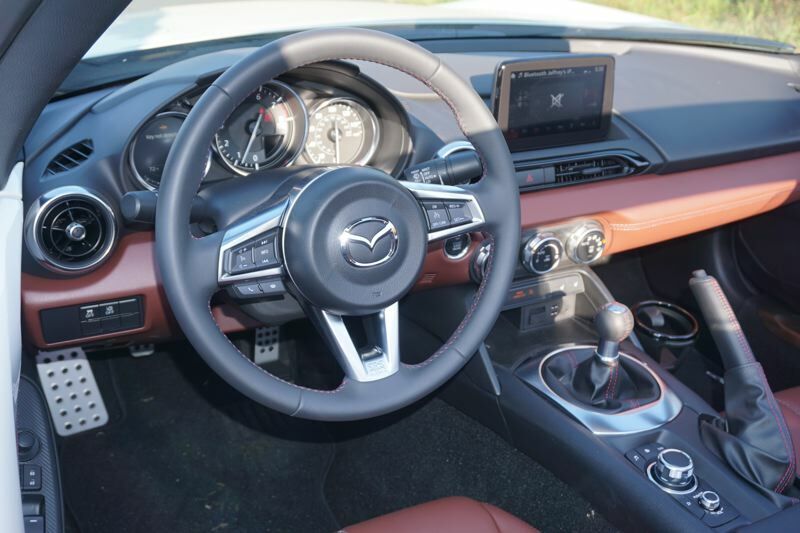 The interior of the Miata is very comfortable, and taller people should have no trouble driving one. There's a nice infotainment system, too. It will play whatever great tunes you love to hear when you're driving. 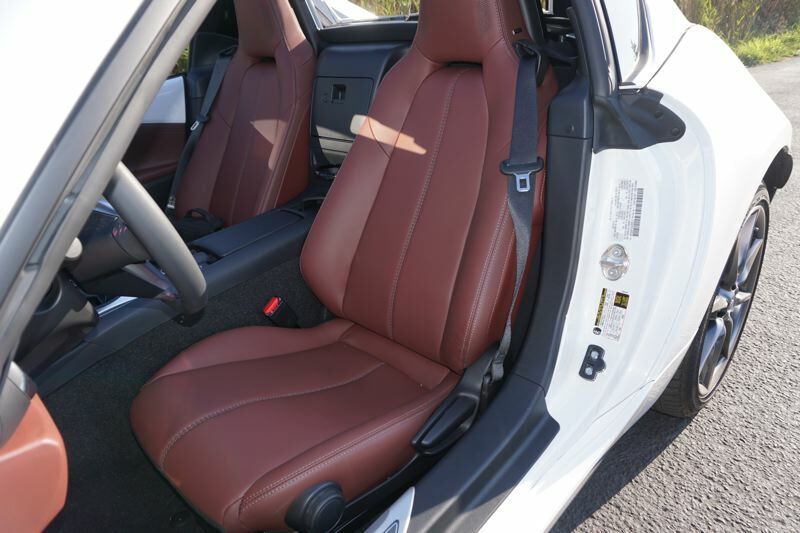 Heated seats are available, and desirable, in the Grand Touring trim. I drove the Miata while it was still summer a couple weeks ago, but now we're at the beginning of fall and our weather is changing. That's the reason I wanted to write about the Miata Retractable Fastback, or RF. 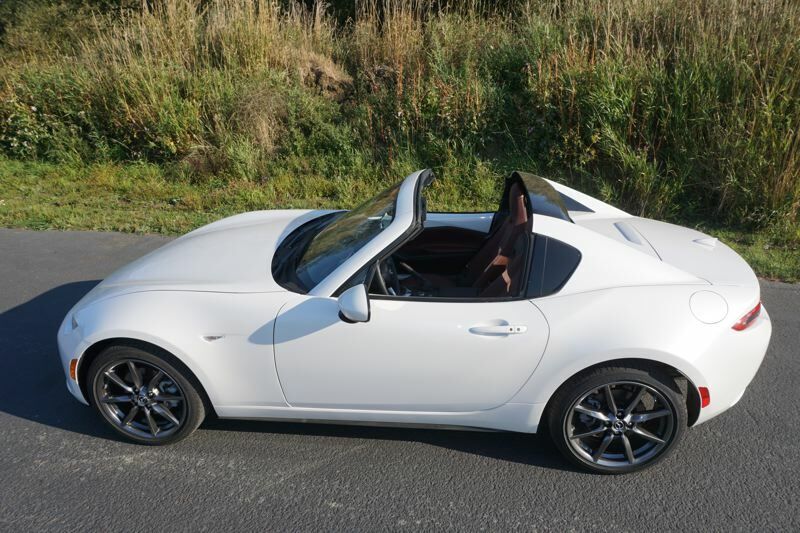 This version of the Miata has a hardtop that automatically folds back into the trunk area, and leaves a buffeting shield behind the passenger cabin. To be honest, I prefer the traditional convertible in summertime, but with the top raised the RF becomes a warm, dry coupe that is simply perfect for a wintertime sports car in Oregon. Full disclosure: if you couldn't tell, I'm a big fan of the Miata. I own one of those early Miatas, and it's still going strong almost 30 years later. But I can honestly say that the 2019 model is the best Miata that Mazda has ever made. You can get into one of the convertibles for $26,190, or the RF for $32,345. 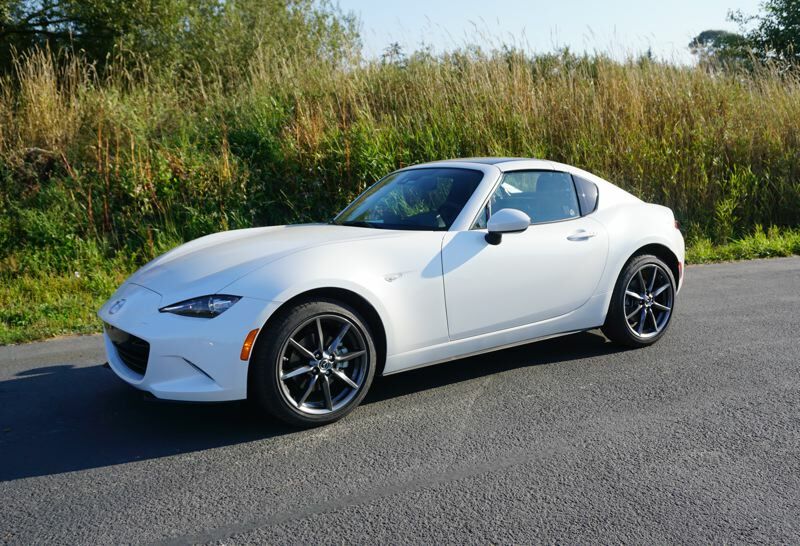 If you've never driven a Miata before, why not take a test drive and experience it for yourself?